Have you changed jobs recently? Make sure you keep track of your pension. It is very easy to lose track if you have had multiple jobs over the years. Should you be combining your multiple pensions or leave them as is? The answer depends on your circumstances and can vary from one person to another even in the same family. If you are not sure how to find them, you can start with this article that gives you some help. Share your email with us and we will send you regular news updates. SLR Wealth Services Limited is registered in England & Wales at 61 The Orchards, Epping, Essex CM16 7AT. Company Number 07570263. SLR Wealth Services Limited is not regulated by the FCA and is not authorised to offer advice to the general public concerning any regulated or unregulated investment. Our products are not regulated investments for the purpose of the UK FSMA (2000) or collective investment schemes as defined in the Financial Services and Markets Act 2000 (section 235) and as such buyers have no access to statutory or regulatory protections including the Financial Ombudsman Service and the Financial Services Compensation Scheme. 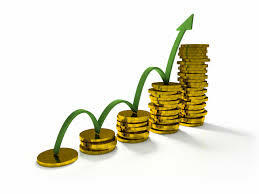 The value of your investment may rise or fall depending on market conditions and any other factors. No guarantees as to future performance in respect of income or capital growth are given either expressly or by implication and nothing expressed or implied should be taken as a forecast of future performance.